Middlesex University is proud to celebrate a prestigious Middle Temple Access to the Bar award for second year LLB Law student Aida Negel. The award consists of a week’s paid mini-pupillage, and a second week of marshalling (sitting in court alongside a judge as work experience), also paid, beginning later this month. The awards were set up eight years ago to help students from disadvantaged or underrepresented backgrounds with potential to shine as barristers to make a more informed choice about a career at the Bar. To meet the criteria, nominees need to have a strong record of academic performance, and to come from a family with no members holding a professional qualification, or with little or no history of attending university. 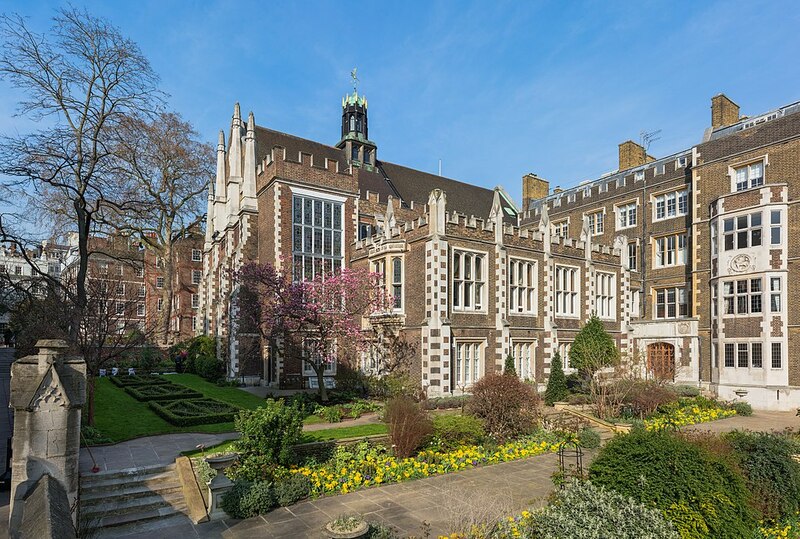 Since the awards were founded, recipients have gone on to winning scholarships for the Bar Professional Training Course from the Inn and subsequently into pupillage and tenancy, says Christa Richmond, Director of Education Services at Middle Temple; while others have found that the despite their recognised abilities, the Bar is not for them, an insight saving valuable time and money. Aida comes from a single parent household and has lived in Greenwich since the age of eight. She commutes in to Middlesex each day, a journey which takes her 90 minutes to two hours in the morning, and alongside her studies works 20-30 hours a week at Tesco. She applied to Middlesex without support and guidance from teachers after dropping out of a law degree at another university where she didn’t feel happy. “My passion to study law originates from the fact that I come from a low income single parent family where I was exposed to domestic violence. I would like to protect and bring justice to other families which face similar hardships” Aida says. The most nerve-wracking part of going for the award was, she says, the interview; she advises future applicants to be themselves and to know their applications thoroughly. She says that the culture of support in the university community at Middlesex is “amazing”. She originally found out about the Access to the Bar award from Principal Lecturer in Law Dr Susan Scott-Hunt, and without the encouragement of Senior Lecturer in Clinical Legal Education Lughaidh Kerin in her first year, she says she would never have had the confidence to apply for the scheme. She also thanks Middlesex Student Learning Assistants and Graduate Academic Assistants for putting in “so much work and effort to make you understand and achieve your best”. Her aim is to be a qualified barrister five years from now, a QC in ten years’ time and a judge in 20. Supporting applicants to the Access to the Bar scheme is one of a number of initiatives pursued by Middlesex’s Clinical Legal Education (CLE) programme, established in 2013. Susan Scott-Hunt, leader of the programme explains that CLE “encompasses both curricular and extra-curricular arrangements aimed at increasing the employability of our law graduates,” such as integrating legal skills into the law curriculum with ‘practical’ law modules, systematically helping students find work experience and supporting their participation in legal skills competitions. Middlesex has its own pro bono law clinic and a community law centre, where students assist. Middlesex School of Law works in common cause with other law schools and organisations whose aim is to encourage greater diversity in the sector, including as a founder of the London Law Fair. “Successes like Aida’s convince us that the CLE programme’s efforts effectively enhance the intellectual growth of law students and their life prospects”, says Scott-Hunt. Aida says that advice from Jeremy Dein QC of 25 Bedford Row, Middlesex University’s QC-in-residence since 2017, was simple but “the most useful piece of advice that I received”. Dein, who took silk in 2003 and has a special interest in Appellate work and particular experience in Old Bailey murder trials said, “I am delighted that Aida Negel has won the Access to the Bar Award. This is testament to Aida, and to Middlesex Clinical Education Programme and the energy and effort put in by the Faculty to projects such as the law clinic”. In February, the Ministry of Justice visited Middlesex for discussions about social mobility as part of its drive to achieve a more diverse workforce, and is now developing a bespoke internship for Middlesex students. Drew Morris, head of social mobility at the Ministry of Justice, who declared himself very impressed by the February visit, says “MoJ and MDX have a shared commitment to increasing social mobility, supporting young people from all backgrounds to achieve their potential”.